While perusing Mother Nature Network (MNN) the other day, I came across a great article on herb gardens. Since many of us who live in urban areas don’t exactly have a lot of space to work with, it’s always a challenge to garden without taking over the entire house. But this article had some great ideas on how to grow herbs—some of the most commonly used items in cooking—on a pint-sized scale. Check out what they had to suggest. 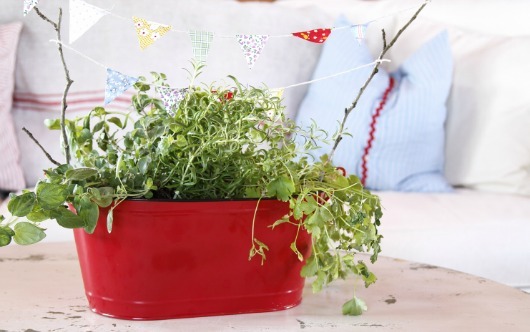 The first (adorable) idea was to plant herbs densely in a colorful metal tub. It works best if you plant the herbs first in a small rectangular trough and then place it on top of a small plastic container inside the tub. This will give water somewhere to drain to so that your roots don’t get diseased or rot. After that, just make sure the bright little bucket gets lots of sun (don’t forget to rotate it regularly). 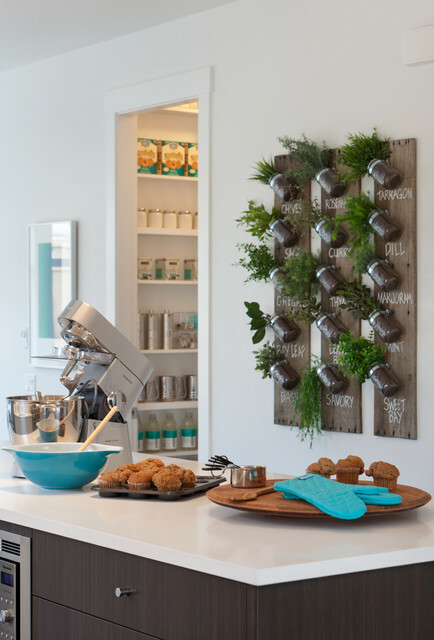 The second idea is to make a small vertical garden using a board and three mason jars. The board can be bought from Home Depot, be recycled wood, or otherwise. Stain or paint it to your liking and then mount the mason jars onto the wood using hose clamps and wood screws. Since the jars won’t drain, you’ll need to put a thin layer of activated charcoal under the potting soil to absorb extra moisture. You can instead drill holes in the glass, but this takes special drill bits and you’ll also need somewhere for the water to drain if you don’t want it to stain your carpet. The last idea isn’t from the MNN article, but one that I found on Portico Design. It also uses mason jars, but allows for many more herbs. Basically, the process is the same for the first, except that the mason jars are mounted much closer together and diagonally on the board. The example I saw had five jars per board (as compared to three), and painted below each jar was the name of the herb. It’s a living spice rack! Beautiful, green, compact, and practical.